I am currently reading In the Fog by Richard Harding Davis and Bleak House by Charles Dickens. In the Fog is a quick little read. Frankly I am enjoying it more than I thought I would. Dickens, as you all may know, is one of my favourite authors. I am really irritated by the characters of Mr. Skimpole and Richard Carstone but other than that I am enjoying Bleak House. 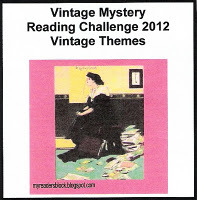 My last read was 4.50 from Paddington by Agatha Christie. Now Christie is, again as you all may know, one of my favourite authors. Bleak House is so very different from 4.50 from Paddington . It’s like comparing apples and oranges. In the Fog, on the other hand, is a mystery. But it is from a very different era. 4.50 from Paddington is modern when compared to In the Fog, which is set during the Victorian era. So, I can’t say that Bleak House or In the Fog is any better or worse than 4.50 from Paddington. All are good in their own way, which is great for me as a reader. A good read is always welcome! 4.50 from Paddington is a detective novel written by Agatha Christie. It was first published in the UK by the Collins Crime Club in 1957 and in the US by Dodd, Mead and Company in the same year under the title of What Mrs. McGillicuddy Saw! A paperback edition by Pocket Books in 1963 changed the title to Murder, She Said to tie in with the feature film release of the same name. Elspeth McGillicuddy, on her way to visit her old friend Miss Marple, has been having a rather uneventful journey. But that changes when she looks out the window of her train carriage and sees a woman being strangled in a passing train. The problem is no one believes her. Only Miss Marple does. But if there has been a murder where is the body? It’s up to Miss Marple to find that out. The unusual way in which Mrs. McGillicuddy witnesses the crime has long been one of my favorites in detective fiction. I’m yet to discover a better way in which the commencement a crime is seen through the eyes of the witness. One of the main characters of this mystery (and Miss Marple’s right hand woman) is Lucy Eyelesbarrow. She is a professional housekeeper and a very unusual woman. She is efficient and organized. The way she handles the investigation and all the household duties at the same time dealing with her own inner emotional confusion, is remarkable. She is definitely not a damsel in distress. In fact, all of the female characters in this story are unusually strong. For example, another female character, Emma Crackenthorpe, is not a push over and holds her own pretty well against a pack of scowling brothers and a cantankerous father. Detective-Inspector Dermot Craddock reappears in this book after A Murder Is Announced. He is the godson of Sir Henry Clithering, who is an old friend of Miss Marple. In fact, the case from A Murder Is Announced is discussed at least on two separate occasions in this book. Also, reappearing is the Vicar and his family from The Murder at the Vicarage and The Body in the Library. I love how all of these familiar character grow old as time goes by in Miss Marple’s universe, makes the reader feel like as if s/he has known them all their lives. Among the other characters Luther Crackenthorpe, the Crackenthorpe family patriarch is a nasty old man who relishes the thought of out living all of his children. He is one strange man. All of Luther’s sons, Cedric, Harold and Alfred, are greedy, unpleasant and definitely unlikable. Christie is much more sympathetic in her portrayal of Luther’s only surviving daughter, Emma Crackenthorpe. Luther’s son-in-law, his deceased daughter Edith’s husband, Brian Eastley, is like so many of other Christie creations. Christie definitely had a theory about war time heroes not being fit for day to day life. Peace time doesn’t suit them. They find real life too tame and become restless. This theme reoccurs in many of her stories. For example, Pat Fortescue’s first husband in A Pocketful of Rye. The relationship between Brian Eastley and his son Alexander was touching and the interaction between Alexander and Lucy was fun to read. The characters of Alexander Eastley and his friend James Stoddard-West definitely brighten up the narrative. Miss Marple and her unlimited stock of ‛village parallels’ are as fresh as ever. One might say that Miss Marple does not do all the sleuthing herself and it’s not fair but the story is so nicely paced that I hardly felt her absence at all. She is, as she herself says in the book, old and physically weak. It is impossible for her to physically do what Lucy Eyelesbarrow does. I was surprised by the identity of the killer. I really didn’t think (after having read way too many Christie mysteries) that the person was the murdering type at all. One little thing I’ve always wanted to know is ‘Who does Lucy Eyelesbarrow end up with?’ Miss Marple says she knows but we the poor readers are left very much in the dark. I’m still wondering. The central mystery of 4.50 from Paddington is rather a common one. But I enjoyed it nonetheless. Because I don’t expect uncommon stories from Christie. What I expect is a feeling of satisfaction, the comfort of having read a good cozy mystery. I always come back to Christie for comfort and am never disappointed. ~ “4.50 from Paddington” by Agatha Christie.